One of Ireland's most prolific burglary gangs is suspected of causing chaos in England after being forced abroad by an ongoing Garda crackdown. It has emerged that a number of criminals linked to a south Dublin-based burglary gang have relocated to Leeds in recent months. The thugs, who are part of the Mansfield burglary gang, are a prime target for Operation Thor as part of the Garda offensive against roaming burglary gangs. The crime group, based predominantly in the Tallaght area, consists of up to seven core members and is considered as a professional and organised burglary mob. Gardaí have now received reports that the majority of the crime group not currently in jail have moved to the city of Leeds after coming under constant pressure from local and national Garda units. They are being investigated for involvement in burglaries across England, including Leeds, the south-west and the Midlands. A number of their close associates have been jailed in recent years, while one of their senior members, Richard Mansfield (23) was recently released from prison after serving time for dangerous driving following a suspected burglary. "Burglary and theft offences have shot up across the UK in recent months. 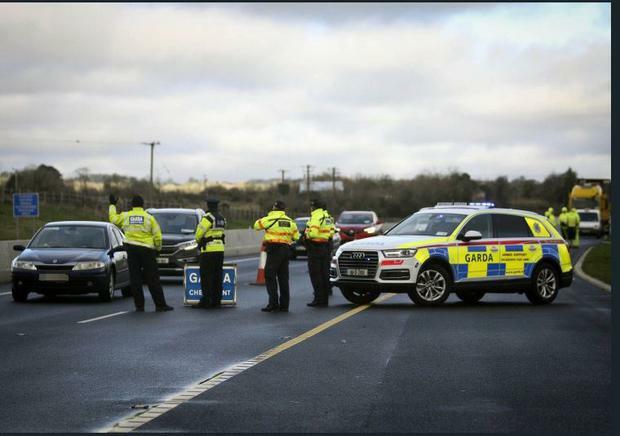 Gardaí have information that members of this gang have moved to the UK, and it is no coincidence that them relocating comes at a time when burglaries are increasing," a source said. "Burglaries are still taking place here, there's no doubt about that, but it seems that Operation Thor is having an effect on some of the main organised crime gangs specialising in burglaries," the source said. A number of burglars linked to the gang have previously been jailed for burglary offences in south-west England. In 2013, Richard Mansfield was one of four men sentenced for a burglary in the Worle area of North Somerset. He was given nine months in a young offenders institution and an additional six months for two burglaries in Bedminster and Barnstaple. A senior UK police officer remarked at the time: "Everything about the way these men operated marked them out as a professional gang." The most recent crime statistics for the UK show that domestic burglary offences have increased by 32pc this year compared to 2017, while vehicle-related crimes have risen by 18pc. Other prominent Irish burglary gangs are also suspected of relocating to mainland Europe. This includes a Munster-based outfit, a Traveller gang in Finglas and several criminals linked to a Wexford-based mob with extended ties to slain criminal 'Fat' Andy Connors. Police forces in Holland, Belgium and Germany are investigating several burglaries and robberies in recent months, including thefts of caravans, linked to the Irish gangs. The Mansfield crime gang was among the top targets for anti-burglary gardaí. A senior source previously described them as "high-end" burglars who, at times, spend several weeks carrying out surveillance on their targets before striking.